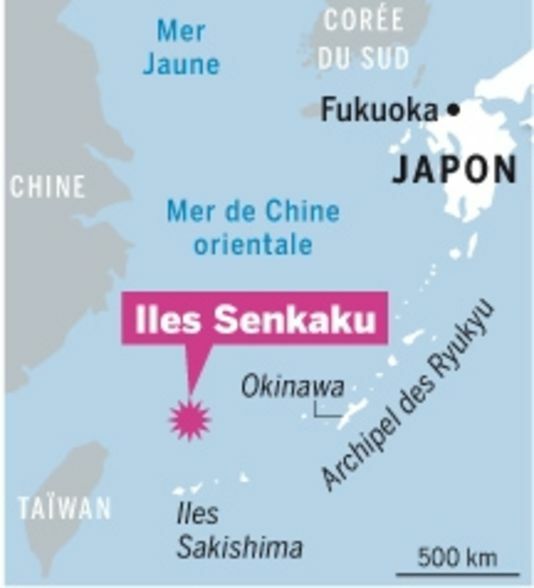 At the end of World War II, Chiang Kai-shek refused to occupy these islands; the United States returned them to Japan with the Okinawa Treaty signed in 1970. Protests from Taiwan and mainland China but also a very active movement of Taiwanese students in the US. Guo Songfen’s visit to China in 1974 was very disappointing. He nevertheless continued studying philosophy and Marxism and published several political essays. He was forbidden to live in Taiwan and will stay in the US as a translator at the United Nations. 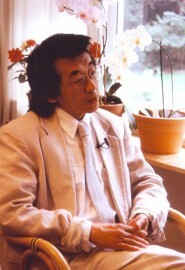 He will make only one visit to Taiwan before his death in 2006. As for the Diaoyu Islands, they are, periodically, including recently in 2012, the subject of diplomatic clashes between China and Japan and violent anti-Japanese demonstrations. Guo Songfen was not a prolific writer and only published short stories. An elegant stylist, beautiful writing, characters that are remembered. The first story that made him famous in 1984, “Moon Seal” was translated into French (1) and also included in the excellent collection of six short stories (2) published by Columbia university in the prestigious “Modern Chinese Literature from Taiwan “. Written from the perspective of a woman, Wenhui, a very beautiful and disillusioned story. At the end of the Japanese occupation, Tienmin with tuberculosis is seriously ill. Wenhui marries him; she is a pretty traditional woman who has little political consciousness, and for whom marriage is a priority. Well cared for by his wife and Dr. Cai, Tienmin recovers; they start a lending library but Tienmin is rarely there. He is involved with a group of friends around Dr. Cai and the beautiful Ms. Yang, an activist who made Wenhui jealous. Wenhui informs against them to the police and mentions in particular a box of books that her husband forbade her to open. The group, which has installed a radio in the church attic, will be shot. We are in the period of the White Terror after the incident on 28.02.1947 with the Nationalist army massacre of thousands of inhabitants of the island; This state of emergency will not end before 1987. “Wailing Moon” (1984) is the monologue of a woman close to the corpse of her husband in a funeral home. She remembers their life during thirty years; the absence of children is the symbol of the failure of this couple who never managed to really communicate. No dialogue, many images, the rhythm of poetry, the importance of flowers for the deceased and the moon, essential feminine symbol. She regrets that their marriage did not end when he left for three years studying in Japan, three years of his secret garden. The visit of a Japanese woman who met her husband in Japan and her son, will lead us in this “secret garden”. “Clover” (1986) recounts the mundane life of a student in the US, who teaches and is in no hurry to finish her thesis. An unhappy childhood in Taipei, an alcoholic father, but an important meeting with a young Taiwanese, a student in philosophy, an idealist who wants to become a pastor. Frequent meetings but they do not progress in their relationship and are prisoners of their past. The young man returned to Taiwan where he was arrested for subversion. “Running Mother” (1984) demonstrates the skill with which the author uses modernist techniques and especially the monologue. The hero was raised by a single mother after the death of his father. Meeting again a school friend who became a psychiatrist, he tells him a haunting dream: he sees his mother run away from him reinforcing his fear of being abandoned but also to be trapped when she runs towards him. Dreams change, the mother still appear young and beautiful even if now she is an old woman, “the image of your mother that you carried abroad with you all these years was not that of an old woman, her face full of wrinkles, stooped over and whose legs were loaded with the weight of time but that of a beautiful mother who was always running towards you “(p.135). “Snow Blind” (1985) recounts the life of a Chinese teacher in a small town in the US. He is single and did not have the will to continue his relationship with a Taiwanese girlfriend. He is obsessed with the book given by his former school headmaster now retired. This book belonged to the brother of the headmaster who committed suicide. It is a bond between generations, it is a collection of short stories by Lu Xun who is then banned in Taiwan. But basically, the hero of the story, Ah Q, a symbol for the Chinese, is also relevant for the Taiwanese who seem affected by the same disease. The hero, a general, was inspired by Chen Yi (1883-1950), the Governor General of Taiwan, responsible for the massacres of February 1947. Guo Songfen denied this connection especially as the portrait of the general is rather favorable. The story takes place on the eve of his execution; he thinks of his past, his life as a student abroad, his military career. His wife does not believe in his desire to retire on his land to study; men boast domestic life but in reality they want to change the world and usually not for the better. He seeks his true identity, looks in a mirror in which perhaps comes a new identity. Once again, massacres, war, are implicit themes of the work of Guo Songfen even handled indirectly; but the general shows us here a negative view of the Nationalist army activities. 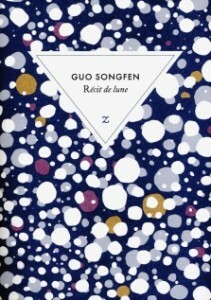 (1) Guo Songfen, “Réçit de Lune”, translated by Marie Laureillard; Zulma; 2007, 140 pages. 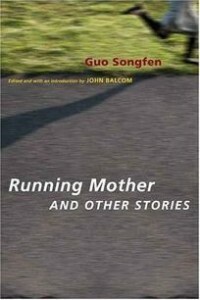 (2) Guo Songfen, “Running mother and other stories”, edited by John Balcom. Columbia University Press, 2009, 260 pages.